Orange dream bar flavor is a blend of delightful creamy and orange flavoring. Good for bakery products, ice cream, jellies, creamy liqueurs, sweet, confectionery and much more. It’s a delicious and refreshing flavor that gives you satisfaction at any time. 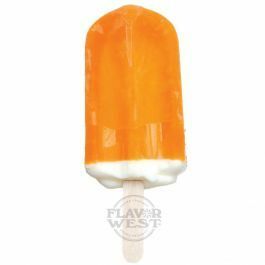 Type: Orange Dream Bar Water Soluble Flavoring. Ingredients: Natural and Artificial Flavoring, Propylene Glycol and Ethanol. USP Kosher Grade Flavoring. Usage Rate:15-20% for E-use. Flavor suitability: Cooking and baking, yogurt, cheese cake, Ice cream, and more. Specific Gravity: 1.01 No Refunds on Flavoring.